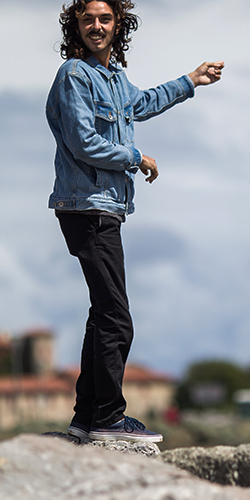 Round 1 of the Quik Pro kicked off at 8am today with Brett Simpson taking the first wave soon after the starter horn in heat 1 against Joel Parkinson and Miguel Pupo. 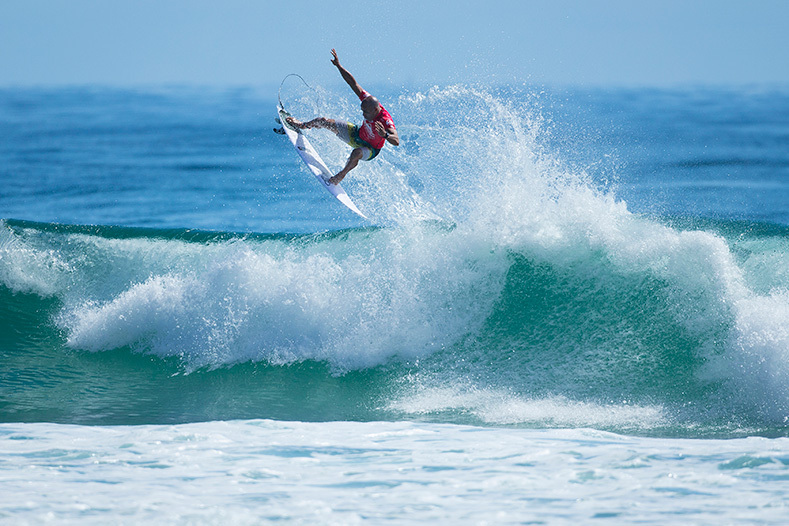 Parko took out the heat with 15.16. Freddy Patacchia had a great start to the comp winning heat 3 with a score of 17.06 against Kelly Slater’s 14.43 and CJ Hobgood’s 12.50. 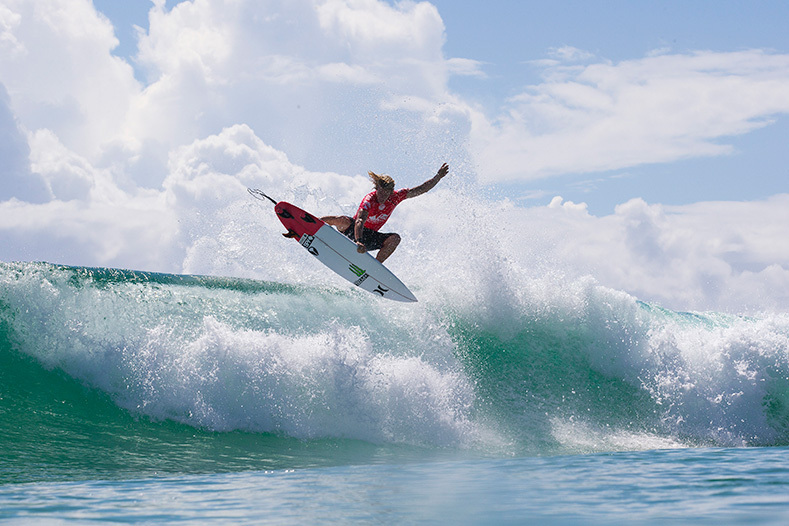 John John Florence took out the first high score of the day in heat 4 with a 9.70. Heats 5 and 6 pitted world champs, newcomers and wildcards against each other resulting in high scores and loud cheers from the crowd. Matt Banting’s debut onto the WCT in heat 5 was notable with a heat score of 17.76 against Mick Fanning’s 17.06 and wildcard Jack Freestone’s 15.83. 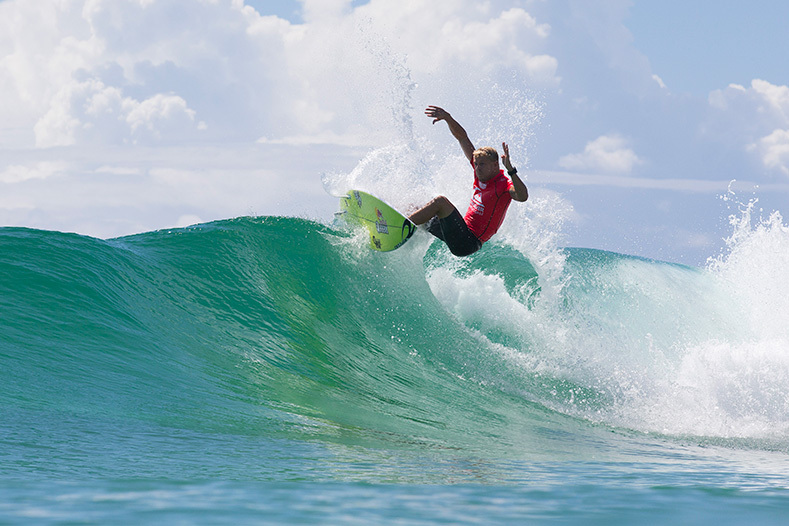 Mick Fanning took out the highest score of the day with 9.73. 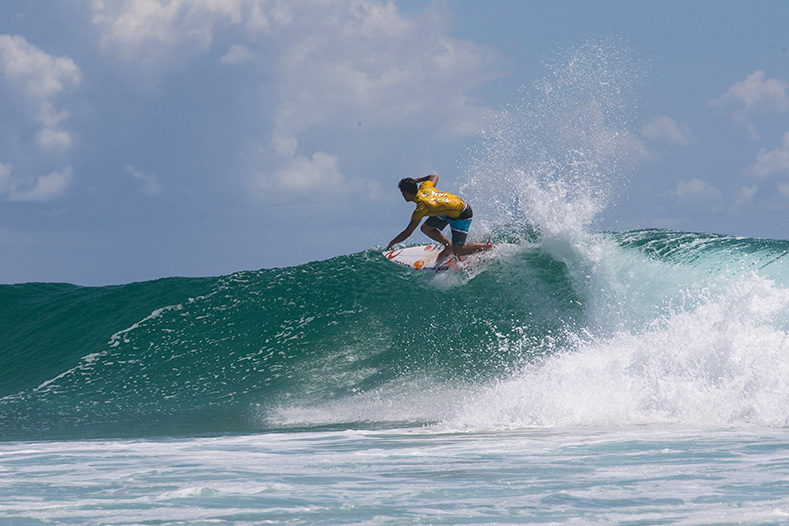 Wiggolly Dantas also made his debut onto the WCT with a heat against current world champ Gabriel Medina and wild card Dane Reynolds. Medina took the heat with a score of 18.30 and a 9.50 wave. Jeremy Flores couldn’t find what he was looking for in heat 7 with a score of 12.67 against Jordy Smith’s 16.14 and Kai Otton’s 15.03. Dusty Payne returned to tour with a bang notching up a 9.67 in heat 8 and secured him a spot in round 3 with a heat score of 16.34 against Adriano de Souza’s 12.53 and Filipe Toledo’s 11.66. Bede Durbidge scored two 8 point rides in his heat for a 17.10 win against Taj Burrow’s 15.80 and Keanu Asing’s 12.43 in heat 9. In heat 10, Matt Wilkinson who was also nearly shy of re-qualifying for this year’s tour, sailed through his heat scoring 13.44 beating Adrian Buchan’s 5.04 and Josh Kerr’s 4.10. Julian Wilson who was perilously close to falling off tour last year started the comp with a win of 15.43 against Italo Ferreira’s 14.97 and Kolohe Andino’s 10.43 in heat 11. The final heat of the men’s round 1 wrapped up with Nat Young’s score of 15.80 taking out the heat against Adam Melling’s 10.30 and Owen Wright’s 9.10. Tune in tomorrow at 7.30am for the Morning Show and the official call and follow all the latest in contest on quiksilver.com/progoldcoast.